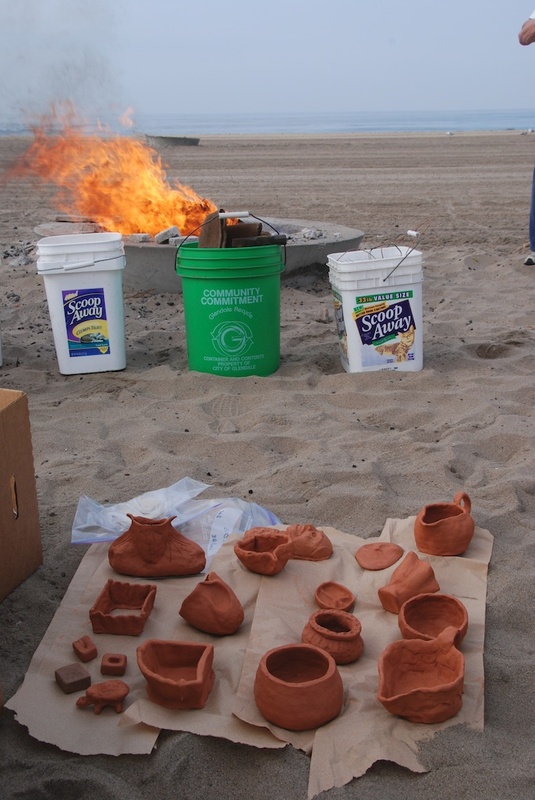 We went to the Dockweiler State Beach last Saturday to fire our ceramic pinch pots that we made for Prof. David Scott’s “Archaeological Materials: Technology and Characterization” course. We fired them in a pit fire to get a better understanding for this ancient technology. Here are our vessels before firing…you can see the pit warming up there in the background. 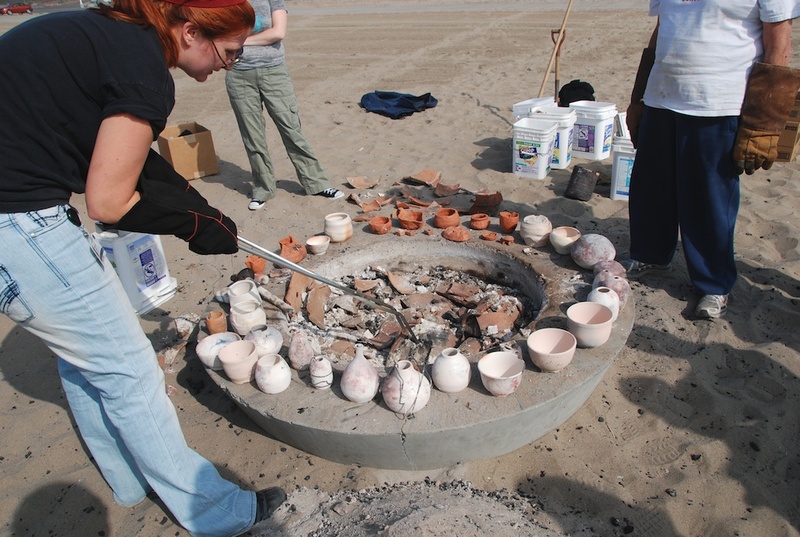 After the initial fire heated up, a layer of ceramic sherds was laid down to insulate the pots from the heat. Then our pots, along with all the other greenware (unfired pieces) were placed in the pit. Another layer of large sherds was placed on top of the greenware, and layer of bisqueware (previously fired ceramics) was placed on top of that. 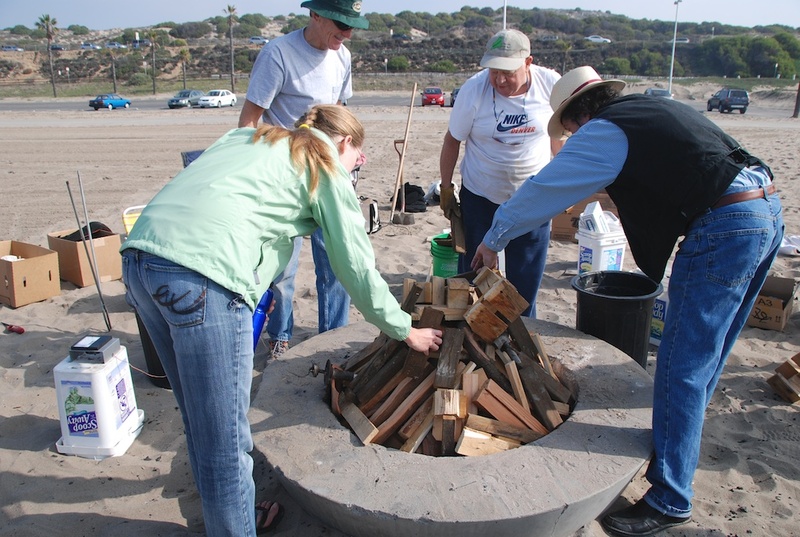 Then we added more wood, and fired it up again! 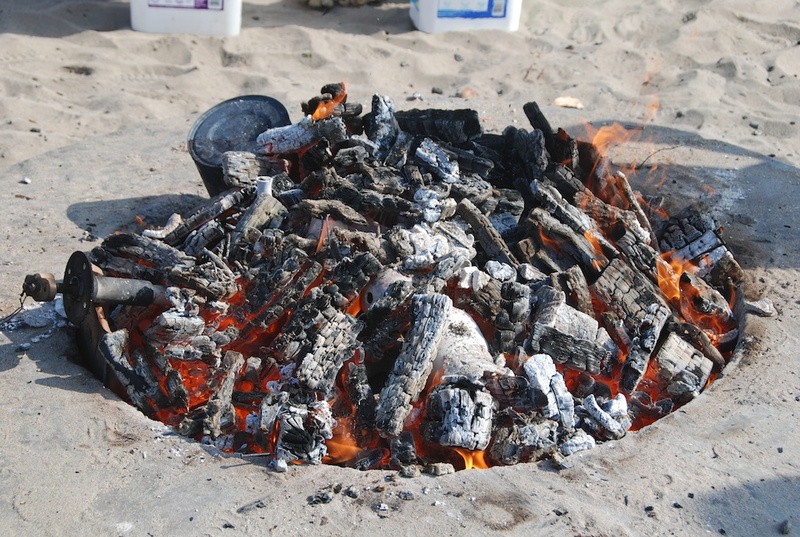 After firing for a good few hours, and reaching close to 900 degrees celsius, the pottery was ready to be retrieved. Most everything survived! Success!! 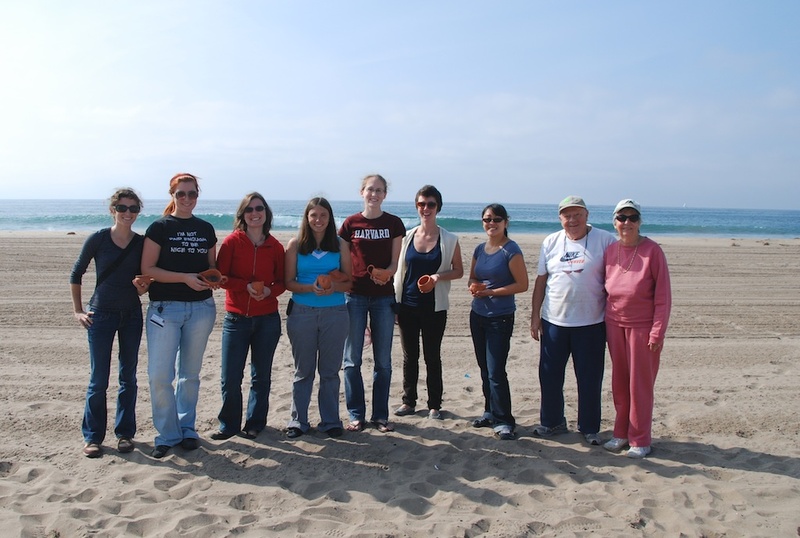 Now we all know a little bit more about a technique that has been around for many millennia…Thanks to Don Corbett and Marilyn Beaudry-Corbett, Director of the Ceramics Research Group, at UCLA’s Cotsen Institute of Archaeology for organizing all of this! 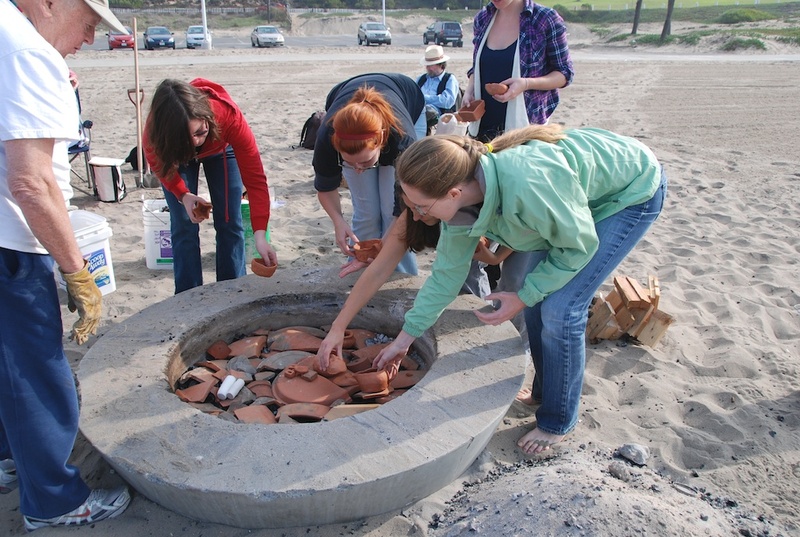 Categories: Uncategorized | Tags: ceramics, Ceramics Research Group, Cindy Lee Scott, conservation program, Cotsen Institute of Archaeology, Dawn Lohnas, Dockweiler State Beach, Elizabeth Drolet, Lily Doan, Nicole Ledoux, pinch pot, pit firing, Robin O'Hern, Tessa de Alarcon, UCLA/Getty Program | Permalink. 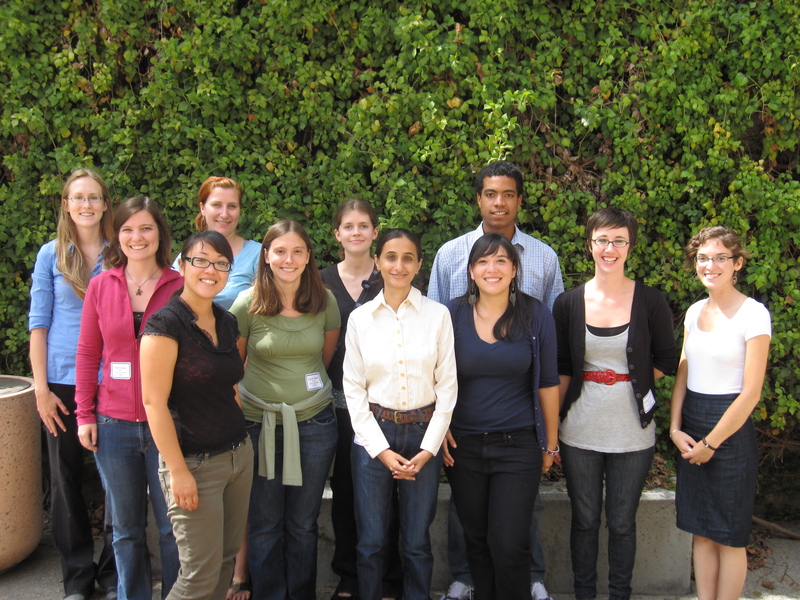 This week marks the beginning of classes at UCLA and the entry of the class of 2012 into the UCLA/Getty Conservation Program. This first few days of this week are filled with various orientations to lab spaces and the program in general. The conservation students attend a portion of these orientations with the incoming students to UCLA’s Archaeology graduate program to give them an opportunity to interact and enjoy tours and luncheons together before classes start later in the week. 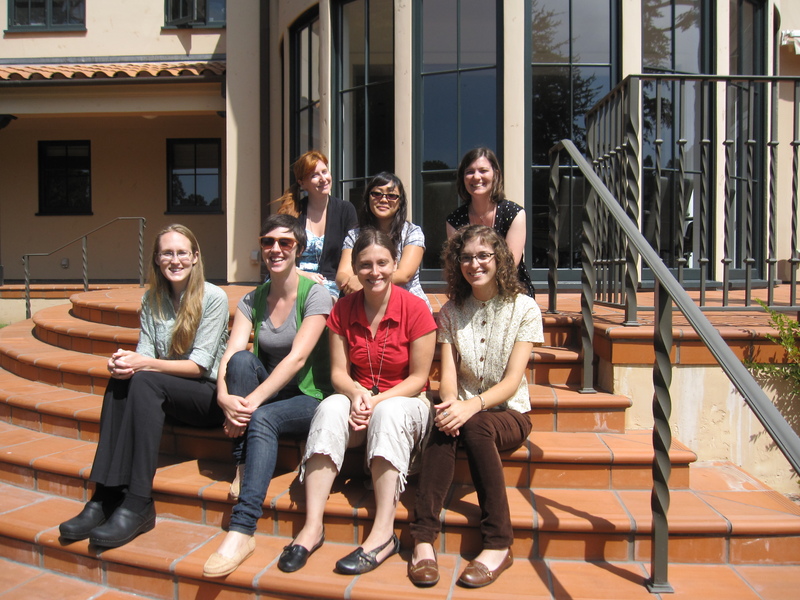 We wish the incoming classes of both the Conservation and Archaeology program lots of success in their graduate studies! Categories: Uncategorized | Tags: 2012, Cindy Lee Scott, conservation, conservation program, Cotsen Institute of Archaeology, Dawn Lohnas, Elizabeth Drolet, Lily Doan, Nicole Ledoux, Robin O'Hern, Tessa de Alarcon, UCLA/Getty Program | Permalink.